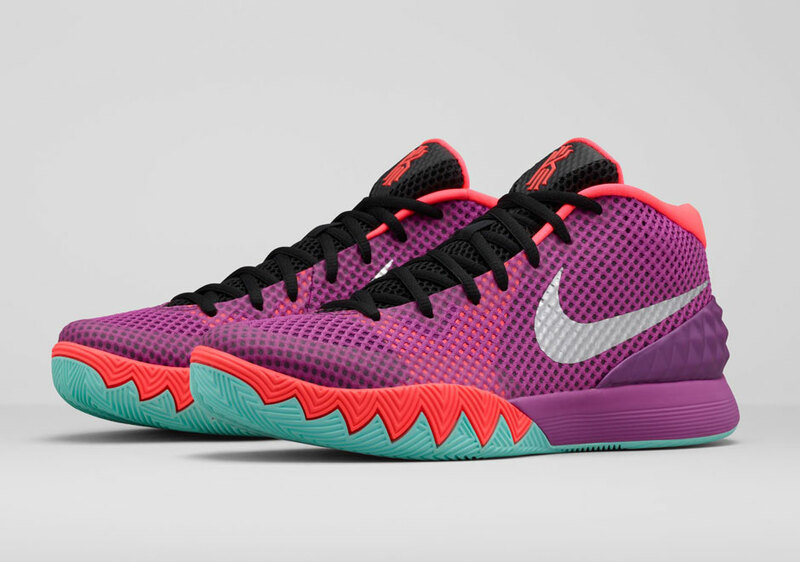 The Nike Kyrie 1 “Easter” is set to release as part of the Nike Basketball 2015 Easter Collection. Kyrie Irving combines his new-age speed with the old-school flair to his game. Purple, a classic Easter color, is featured on the Nike Kyrie 1 “Easter” upper, letting the design language of Irving’s first shoe do most of the talking. The shoe is fully dressed in a mixture of Medium Berry, Metallic Silver, Hot Lava, and Black. Completing the Easter-vibe, this Nike Kyrie 1 sits atop a pastel Easter color outsole. Check out the official photos below and look for the Nike Kyrie 1 “Easter” to release on Thursday, April 2nd, 2015 at select Nike Basketball retailers. The retail price tag is set at $110 USD.